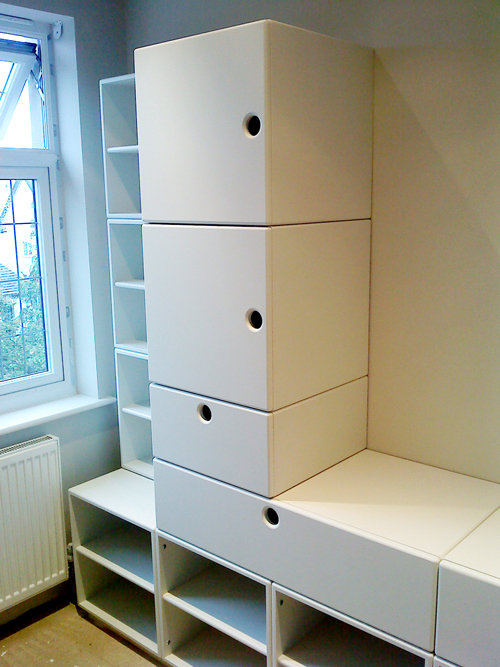 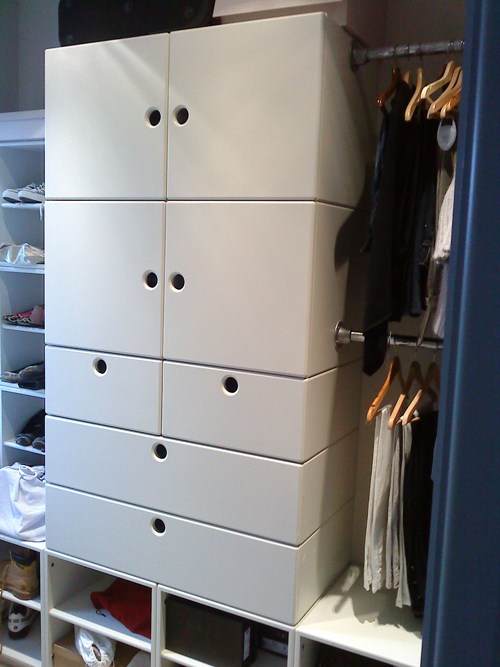 These simple storage pods can be ordered in any quantity and in any configuration and colour. 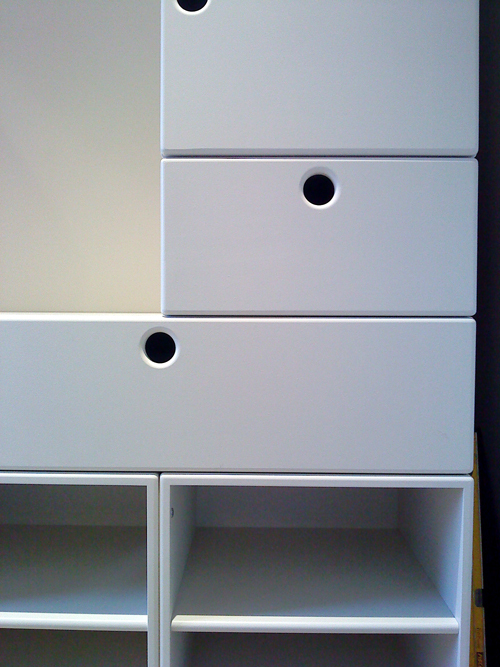 Open fronted - with doors - as drawers. 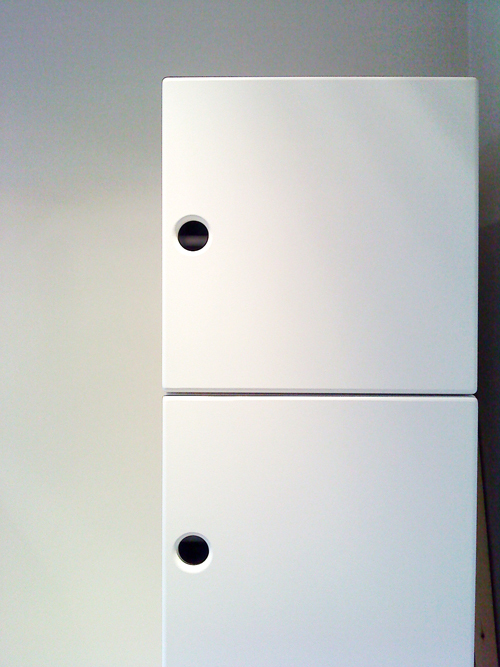 Choose any colour or finish.